Our Flex MBA students are energetic, successful, working professionals. They are motivated to take on the challenges and rewards of balancing work, school, and family, so they can move their careers to the next level. They find our part-time, evening program offers an ideal opportunity to continue their education. 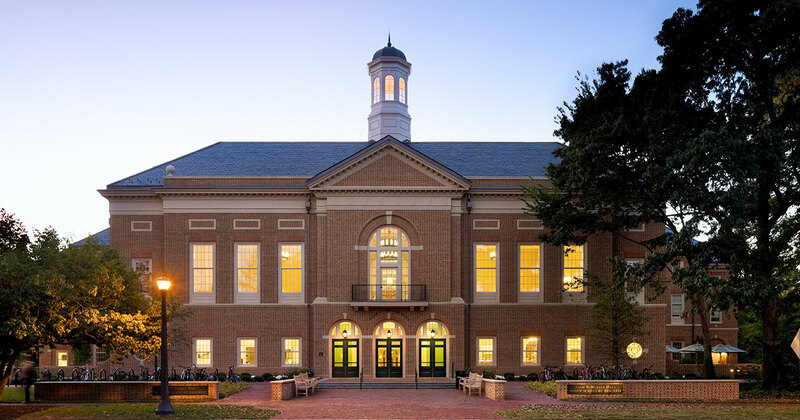 The Raymond A. Mason School of Business at William & Mary seeks applicants from a wide range of academic fields and professional disciplines who exhibit strong leadership skills and have clear professional goals. Our Flex MBA Admissions Committee selects those candidates whom we believe will succeed at William & Mary and throughout their chosen careers. We welcome applications from graduates of accredited colleges and universities in all academic disciplines. The ideal Flex MBA student embraces the opportunity to acquire new knowledge and skills. Someone who thrives in an intellectually stimulating environment in which students are not only taught business, but are taught to think about business in a new way; to make good decisions under uncertainty; to act ethically; and to contribute as strong team members. If this describes you, we would love to speak with you and invite you to a class visit. The Flex MBA team welcomes inquiries from prospective students at all stages of the admissions and application process. Please feel free to contact us at any time. We want to get to know you!